Day 79 of #the100dayproject and my #realandendangered project. Today, we return to Australia to look at another marsupial, the Northern quoll, which occurs in the Pilbara, Kimberley, parts of the Northern Territory and near-coastal Queensland. 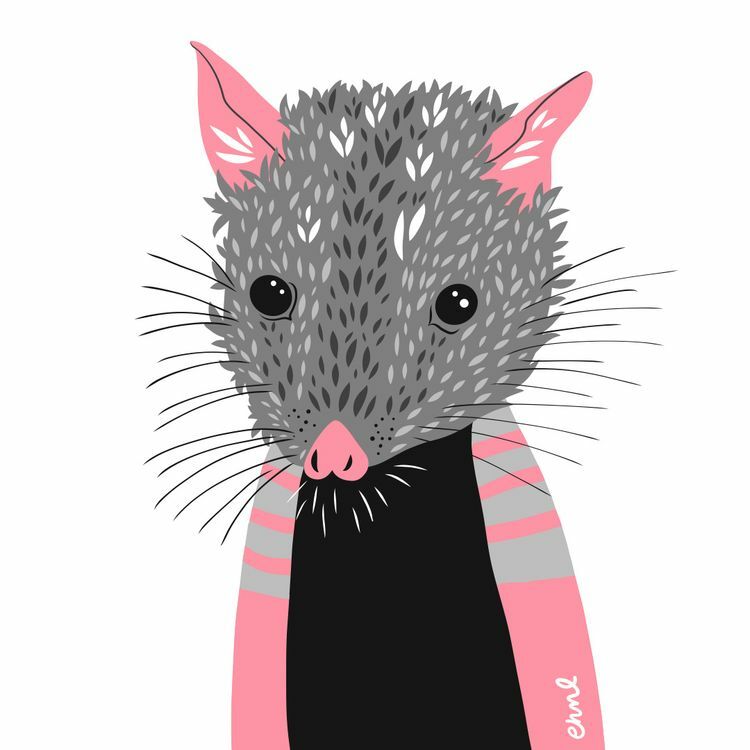 There are six total species of quoll (4 in Australia, 2 in New Zealand), but here's what makes this one worth the highlight: 1. They are the smallest of the four Australian quoll species. 2. Males are the largest mammal to be subject to semelparity, meaning they typically die after their first breeding season. 3. They have reddish brown fur with a cream underside and lots of white spots on its back and rump. 4. They are nocturnal. 5. They are carnivorous. Their diet consists of invertebrates, but they also eat small mammals, reptiles, birds, carrion and fruit.